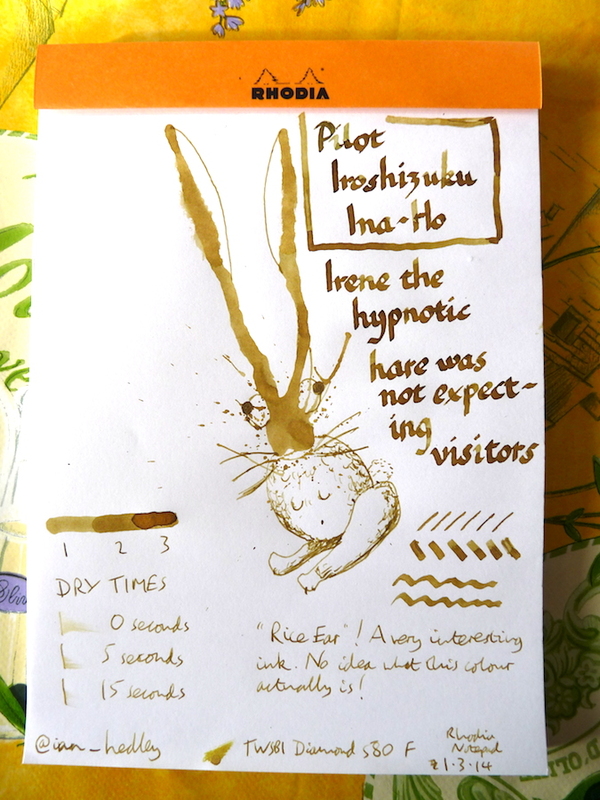 Pilot Iroshizuku Ina-Ho (Rice Ear) ink review – Pens! Paper! Pencils! This ink is sometimes gold, sometimes green, sometimes brown, sometimes beautiful, sometimes rather unpleasant. What it also is, is interesting. Here I am doodling the Inkling. Sometimes they pretty much draw themselves. Irene is my favourite Inkling so far. But who were her visitors??? Would you like your very own Inklings and also support this site? Look here! Thank you! I love your site, by the way. I just got a bottle of this in the mail yesterday. It’s the 6th ink I’ve purchased since discovering fountain pens nearly a month ago. 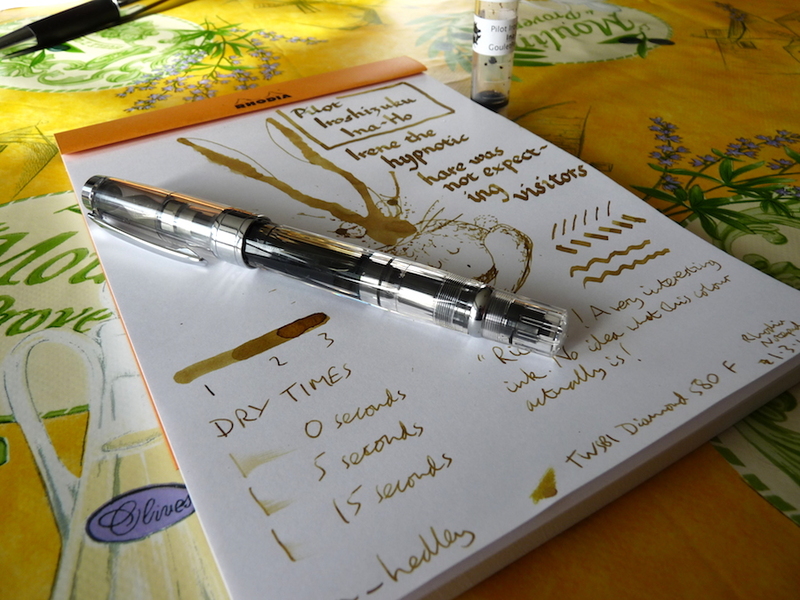 I love writing with this ink with a Pilot fine Metropolitan pen … nice tone for cream colored paper.